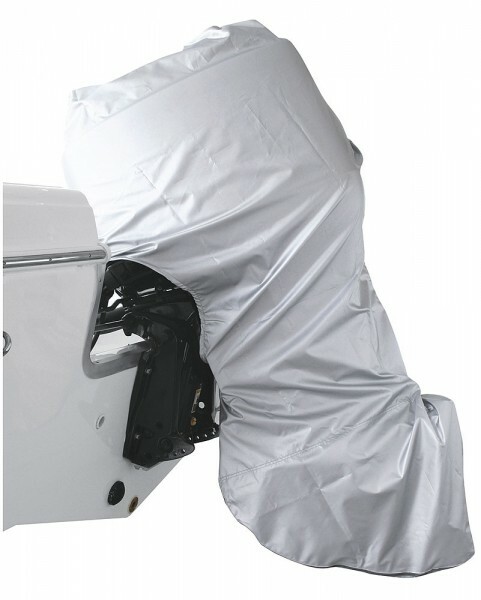 Protect your motor from dirt, sun and water. Extra-strong 0.15-mm-thick 420D polyester for maximum protection. Suitable for outboards (2 - 150 PS) and almost all motor types. The silver cover is available in three sizes. An elastic cord and a zip mean that the upper part and the shaft are protected perfectly. Weiterführende Links zu "Complete motor cover"